In February 2012, a Florida immigration broker named Douglas Hulme sent a troubling email to his associates in the industry. 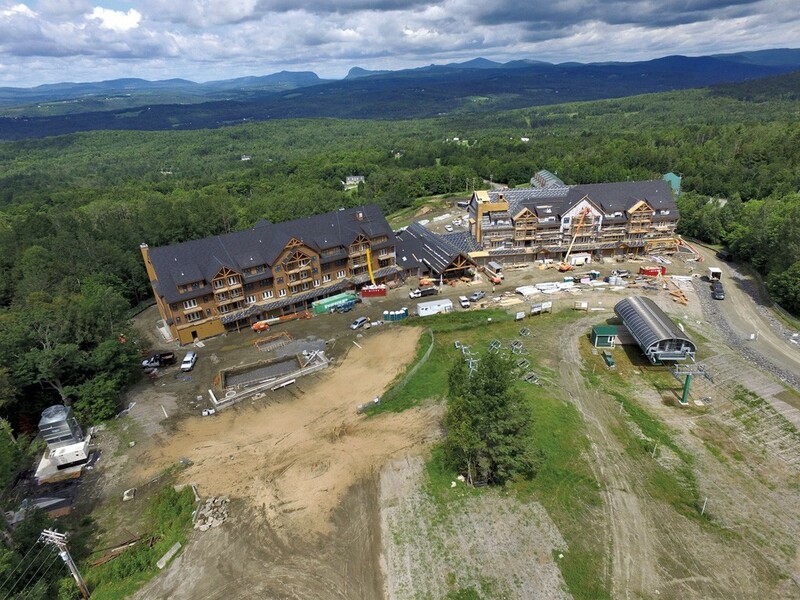 For the previous five years, Hulme's firm, Rapid USA Visas, had worked closely with Jay Peak Resort to bring foreign investment to Vermont's rural Northeast Kingdom. But those days, he said, were over. "Rapid USA no longer has confidence in the accuracy of representations made by Jay Peak, Inc., or in the financial status of and disclosures made by [it]," he wrote. Hulme's dispatch caught the eye of James Candido, who at the time directed the only state-run EB-5 regional center in the country from his office at the Vermont Agency of Commerce and Community Development. Candido, the center's sole staffer, had two jobs: He was to promote Vermont's use of the federal EB-5 investor visa program, which confers permanent residency upon foreign nationals who invest at least $500,000 in qualified economic development projects. And, at the same time, he was to regulate those very projects, such as the ongoing EB-5-funded building spree at Jay Peak. "We, of course, wanted to take a closer look, so we spent the entire day at Jay after that letter," Candido told Seven Days in March 2012, referring to Hulme's email. "There was absolutely nothing that was out of the ordinary ... I think most people in the EB-5 marketplace understand that Jay Peak does it very much correctly." Candido acknowledged the nationwide uptick in fraud cases linked to the EB-5 program, but he expressed confidence that Vermont's state-run regional center was "uniquely structured to make sure it doesn't happen" in the Green Mountains. His boss, then-commerce secretary Lawrence Miller, agreed. "It's not as though a lone operator could really manipulate that many professionals, frankly," Miller told Seven Days at the time. Turns out both men were wrong. Last Wednesday afternoon, federal officials swarmed Jay Peak and Q Burke Mountain Resort, seizing evidence, changing the locks and turning the businesses over to a federal receiver. The next day, a federal court in Miami unsealed a 52-count civil complaint against owner Ariel Quiros and president Bill Stenger, accusing them of orchestrating a massive "Ponzi-like" scheme ever since Quiros illegally bought Jay in 2008 with other people's money. According to the U.S. Securities and Exchange Commission, the pair misappropriated more than $200 million of the $350 million they had raised from hundreds of foreign investors, mostly using cash from one project to pay for another — starting with the original purchase. The SEC further alleged that Quiros "systematically looted" as much as $50 million of that for personal expenses, including a $2.2 million pad at New York City's Trump Place. The next day, as news of the allegations broke, Gov. Peter Shumlin convened a somber press conference in his ceremonial Statehouse office to announce that the state had filed its own 15-count complaint against Stenger and Quiros. Calling it a "dark day for Vermont," Shumlin nevertheless saw one ray of light: Over the past year, his highly respected commissioner of financial regulation, Susan Donegan, had played a critical role in the federal-state crackdown, he asserted. But as reporters quickly noted, Shumlin had not transferred EB-5 oversight authority from Candido's former office to the more sophisticated Department of Financial Regulation until December 2014 — nearly four years into his governorship and more than six years since the fraud allegedly began. SEC documents show that by the time Donegan and her team at DFR took over, the feds had been on the case for months, if not years. "Obviously, we can all sit here and say, you know, 'Who should have done what, when, differently?'" the governor said, adding that his administration had done "a lot of inner searching" lately. "But I think the answer is that, you know, at the heart of it, there's a certain amount of trust in the partnerships that we have with the private sector in government." There is some truth to that. A functioning society requires honest dealings — especially from its wealthiest and most powerful members. If the allegations against Quiros and Stenger are proved true, they are guilty of an almost unspeakable breach of the public trust. And their victims are many: the families who, in some cases, invested their life savings for a chance to immigrate to the U.S.; the resort employees whose jobs are now threatened; and the entire Northeast Kingdom community, which had been promised economic salvation and was left holding the bag. But a functioning society does not rely on trust alone. It verifies. And in that, we all failed. Jay's foreign financiers failed to recognize their "investment" as a risky, unsecured loan. Community members and municipal officials failed to view the developers' outsize ambitions with appropriate skepticism. The news media — with the exception of VTDigger.org, which spent years doggedly pursuing the story — failed to perform the scrutiny that is our job. The state lent its good name to the projects but failed to truly regulate them until it was too late. And the federal government, which allowed developers to sell a public good for private gain, failed to demand appropriate oversight. It's not like we couldn't have seen this coming. There have been warning signs for years, even since Hulme's 2012 missive: the cancellation of a German window factory slated for Newport; the developers' inability to come up with the cash to buy a lakeside property; the shady Korean biotech company supposedly building a stem cell research and manufacturing facility in northernmost Vermont; the investors who claimed that Quiros and Stenger had, without notice, converted their equity stakes into IOUs; the long-rumored SEC investigation. But too many people wanted to believe that Quiros' and Stenger's vision for the Kingdom would come to pass. And, indeed, elements of it did: the slope-side hotels, the water park and even site work for the biotech plant. Among those who most wanted to believe were the politicians who, from the get-go, hitched their wagons to Quiros and Stenger. They dutifully cut ribbons and red tape for the pair; traveled abroad to promote Vermont's EB-5 program; greased the skids when federal visa processing slowed or state workers raised concerns; and lauded the developers at every opportunity. "Bill Stenger and Ari Quiros continue to shine a beacon of hope, opportunity and future prosperity," Shumlin told lawmakers at the Statehouse during his second inaugural address in January 2013. Those same politicians profited from their work. As their alleged Ponzi scheme progressed, Quiros and Stenger gave tens of thousands of dollars to the state's political elite. Sometimes it was difficult to tell just who was working for whom. And yet, when it all came crashing down last week, there was not a mea culpa from one of them. Rather, those who style themselves as leaders of this state engaged in a game of pass-the-buck that would be comical if it weren't so tragic. Speaking last Thursday to a room full of shell-shocked legislators, lobbyists and reporters, Shumlin had barely described the crime before making clear who he thought was culpable for the lack of state oversight: former governor Jim Douglas. Shumlin, who frequently describes his own actions as "courageous" and campaigned on the promise to "get tough things done," sounded strangely incapacitated in his efforts to change "the system that was in place when I became governor." Five years ago. "The alleged fraudulent activity began in 2008, three years before I became governor," he said, insisting later that "we all wish, I bet, that previous governors" had given oversight powers to DFR. Perhaps Shumlin could have dreamed up such a plan himself while traveling — on Quiros' and Stenger's dime — to China, Vietnam and Miami to chat up potential investors. Yes, those very same investors who seem likely to lose their shirts — and perhaps even their chance at permanent residency. Though Douglas left office in 2011, his own finger-pointing abilities appear intact. Reached the next morning at his Middlebury College office, the man who traveled with Stenger to South Korea, Taiwan, Japan, Vietnam and China had another villain in mind: Sen. Patrick Leahy (D-Vt.), EB-5's congressional patriarch. "This is Pat Leahy's baby," said Douglas, who presided over Vermont's toothless regulatory system for a full eight years. "It was created by the Congress in the '90s. Pat's been a great champion ... If you have a problem with the program, talk to Pat." Later Friday at a press conference in Essex Junction, Leahy had his own opportunity to express remorse for his role. But the smiling senator sounded nonchalant about the Kingdom comedown. At first, he couldn't quite remember when he'd heard the news. "It's been a little busy down there in the Senate," he explained. "But, you know, I get press briefings a couple times a day. I read it there, yeah." Given that his spokesman once called him "the leading champion of the EB-5 investor visa program in Congress for more than a decade," did Leahy have any regrets about protecting a program with so little oversight and so much potential for fraud? "No, we created a program with oversight," he insisted. "And it's the oversight that's finding out what's going on." Even as he defended the program as written, Leahy threatened to "kill it" if Congress failed to enact a slate of reforms he had been proposing for years. The package, cosponsored by Sen. Chuck Grassley (R-Iowa), would require more financial reporting and security screening, but it would also change eligibility requirements to the advantage of projects in rural districts, such as Leahy's and Grassley's. Because we surely need more EB-5 developments in Vermont. "If these reforms don't go through, we will not have an EB-5 program, because Sen. Grassley and I will certainly do everything to block it," the Vermonter said. Leahy, who described Stenger as a "friend," said he planned to donate to charity the $5,800 the developer had contributed to his campaigns over the years. Congressman Peter Welch (D-Vt.), who joined Leahy and Stenger at EB-5 investor events in China and Vietnam in 2014, subsequently promised to give his Stenger-sponsored $1,500 to the Vermont Foodbank. Shumlin, at first, refused to do the same. His spokesman, Scott Coriell, said Friday that the more than $16,000 he'd collected from the developers had been "raised and spent in previous election cycles." And, you know, his boss wasn't running for reelection. By Monday, the governor had changed his tune. "Over the weekend, he made the decision that he wants to put $15,000 towards fighting opiate addiction in the Northeast Kingdom," Coriell said Monday morning, explaining that the governor realized "it was the right thing to do." But Shumlin wasn't about to admit that the donations had informed his desire over the years to help Quiros and Stenger. Indeed, quite the opposite. "I think it's a testament to the fact that campaign contributions don't make a difference that I set up this [DFR oversight] structure that went in and found this out and brought us to where we are today," the governor said last Thursday, forgetting again that it was the feds — not the state — who discovered the alleged wrongdoing. Peter Galbraith, a Democratic candidate for governor, didn't buy Shumlin's argument. "For many Vermonters, this does not pass the laugh test," he said Monday at a Statehouse press conference as he called for an independent commission to investigate the state's actions. "There is good reason to suspect that the Quiros-Stenger projects received special treatment that has not been given to other projects." Why else would Quiros, a Miami Republican, donate $32,000 to the Vermont Democratic Party in 2012 and 2014 — the years of Shumlin's two reelection campaigns? "Like other elected officials and politicians, the governor has asked donors to support the Democratic Party," Coriell acknowledged Monday. "This included Mr. Quiros." If Shumlin, Leahy, Douglas and the rest really have nothing to hide, they can prove it: Release every email, phone message, text message, letter, memo and appointment record involving them, their top aides, and Quiros and Stenger. We could just trust them. On second thought, better verify. The original print version of this article was headlined "Kingdom Comedown"